While many choose to study War and Peace over a lifetime of reading, sometimes that luxury is not afforded to you. May it be for an academic reason or because you need to impress somebody, you may have to quickly read the seventh longest book in a Latin alphabet. But it’s not impossible so long as you go in with the plan detailed below to help you. While it may be difficult at many times, it can still be enjoyable. Above all, it will certainly be fast. 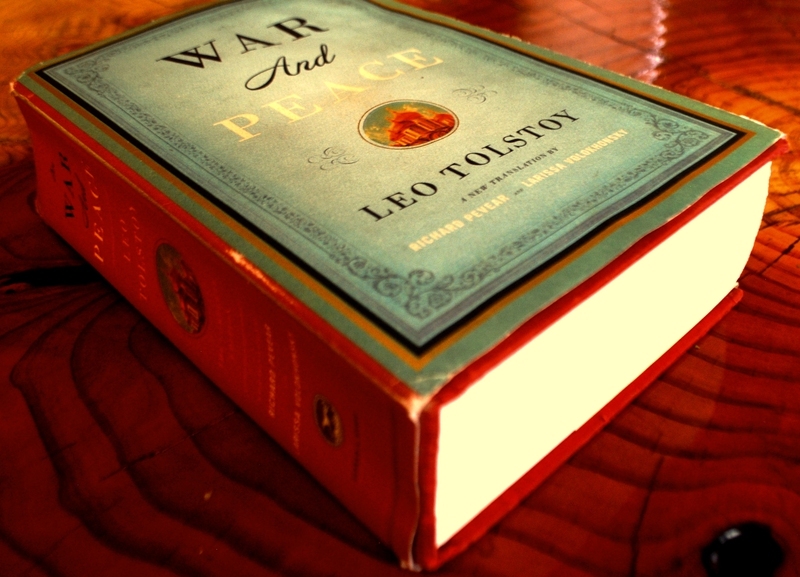 War and Peace is around 1115 pages long, and therefore in a week you should average 159 pages a day. The total of the first three books is 265 pages, and is set in the same year, 1805, serving as an introduction. Doing this gives you a headstart and allows you to get a strong foundation for the world prior to the main action. As an added bonus, if you come this far then you won’t want to abandon all your work later. While it may seem like an extreme task, the book is broken down into a large number of short chapters, and therefore pauses often so that you are able to have a rest without being forced to walk away in the middle of a dramatic moment. This allows you to keep your concentration, and therefore enthusiasm, for the text. While adopting more work may seem like a hindrance, it will greatly aid your understanding of - and therefore enjoyment of - the book if you are familiar with the characters mentioned therein. These people are Napoleon I of France, Tsar Alexander I of Russia and General Mikhail Kutuzov. This translation is the easiest to read and possibly most accurate English version of the novel. While the recent Pevear and Volokhansky translation has gained notoriety for the artfulness of its language, it uses a large amount of footnotes and large amounts of French conversation, casing the reading experience to become slower and more complex. This is when most of the action takes place, and if you had the headstart on day one then you can afford to take this section at a slower pace, which will both help you understand it more since this is the section which introduces large amount of philosophical writing, and give of a rest after days of reading. While you may skip over bits as you read in a hurry, War and Peace is a tightly woven novel and many small elements become important. If you have a thorough understanding of the events if will allow you to both comprehend, and most of all enjoy, the novel significantly more.